Kinder Morgan Canada Limited's (NASDAQOTH:KMLGF) market cap is around $400 million. 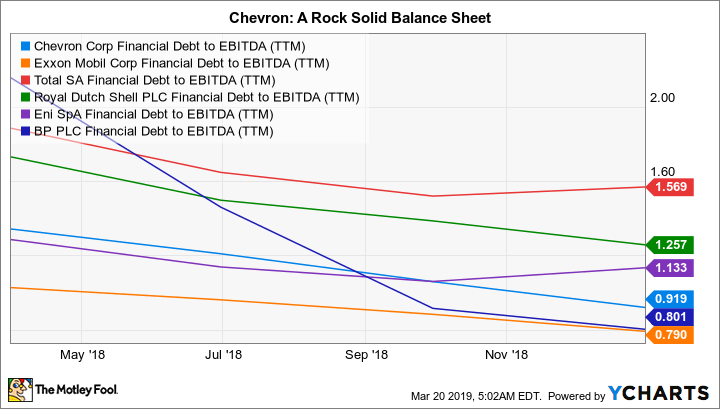 Chevron Corporation (NYSE:CVX) has a market cap of roughly $230 billion, roughly 575 times larger. There are benefits to being small and nimble, but is that enough to give tiny midstream-focused Kinder Morgan Canada the edge over an integrated energy industry giant like Chevron? In 2018 Kinder Morgan Canada agreed to sell the Trans Mountain Pipeline to the Canadian central government. That allowed the company to get out from under a giant growth project that was facing notable headwinds from local governments and residents, and left Kinder Morgan Canada with a heap of cash, much of which 70% owner Kinder Morgan, Inc. (NYSE:KMI) got pushed out as a special dividend. Check out the latest earnings call transcripts for Kinder Morgan and Chevron.